1.1 Why You Want TO Replace Your Grout! 1.3.1 Where Can I Use Epoxy Grout? 1.4.1 Where DO I Start? 1.5.1 How Do I Repair Cracked Grout? Get Inspired To Remove Your Tile Grout and Achieve Home Greatness! Why You Want TO Replace Your Grout! If there ever was a list of Epic Home Improvements Hacks, then replacing tile grout would be up there amongst the best. 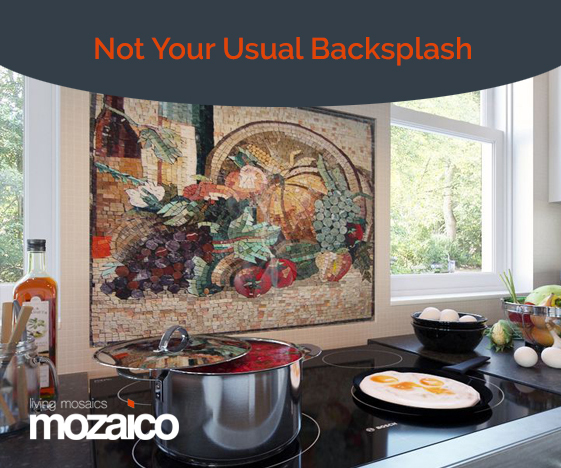 Because for such a cheeky little household item that no one really cares about, making it look amazing can greatly increase the appeal and look of a room. You don’t look at your tiled floors and concentrate on the grout, do you? No, You look at the layout and pattern of the tiles first. It’s only when the grout is dirty and gross do you start to think about it and start to hate it! • How to clean grout? • What’s the best way to clean grout? • Why is my shower grout so dirty? • For the love of god, can someone just tell me how to clean my grout!? Do you want to know the heartbreaking truth? Grab a teddy bear, snuggle him tight and drink some hot cocoa (with marshmallows) cause this is going to hurt. “There’s got to be a better way!” – I hear you scream. It’s called grout removal or grout replacement and it’s the best way to refresh, rejuvenate and revive your tiled surface and not only will it make your home look better but also make your grout easier to clean in the future. Think – 5 minutes spray ‘n’ wipe instead of 5-hour scrubbing session from hell easy. If that’s not enough to make you want to replace your tile grout, this post will show you the Top 4 best reasons to replace your tile grout. Once you understand the benefits of grout replacement, you’ll be running for the nearest grout saw and having at it. Here’s one I bet you didn’t know about and I don’t blame you. No one talks about it, I can’t find a blog that mentions it either. Odors, especially yucky ones like urine can radiate from grout and be impossible to remove without getting rid of the old grout. This is especially common in homes that have pets like dogs that have ‘accidents’ inside the home or straight up want to show how much they love you by doing their business where the family is most likely to see and smell it. While you are quick to clean it up, the urine can get soaked up into the grout and go beneath the grout line. While the urine will eventually evaporate, the urine crystals will remain behind and continue to provide your home with a pleasantly gut-wrenching and never-ending aroma that no amount of Febreze or bleach will get rid of. Of course, our furry friends are not the only ones capable of leaving behind a smell as our family members can do the same thing! Toilet floors and showers are a hotbed for this smell and chances are you might be having an odor problem in your wet areas as well. Replace the grout of course! By removing the old tile grout in your shower or any part of the home that has an odor problem, you are removing the urine deposits and creating a fresh grout finish that will not smell again! Want to prevent the same problem from happening again? Easy! Instead of regrouting with standard grout that is not waterproof, use an Epoxy grout instead. Epoxy grout is waterproof and super resistant to odors and stains and will put up with whatever your pets or family can throw or splash on it. Regrouting with Epoxy grout has become a big this year and I can personally attest to this as in 20 years of professional tiling, I have never done so much epoxy grout work as I have this year alone. Homeowners are starting to discover the benefits of epoxy grout and want all in on it. Maybe it’s time that you get Epoxy grout in your home too! The money you save on Febreze will cover the one-off expense in no time! We touched upon Epoxy grout in the previous reason but there’s a lot more to be said about this wonder of tiling technology. In case you don’t know about it, Epoxy grout is a grout made from epoxy resins and filler compound that makes it much stronger and resistant to staining over conventional grouts made from cement. When dried it forms a tough and essentially waterproof substance that inhibits mold growth, staining, and chemical intrusion. In fact, it’s so good that it’s the only grout approved to be used in facilities handling or manufacturing food as it doesn’t allow bacteria to grow in it. It is also popular in hospitals and other facilities that require the utmost levels of hygiene. Now imagine this powerhouse of a grout in your home, fighting back everyday stains and bacteria that lead to discoloration and mold growth. If you applied epoxy grout in your shower, for example, your tile maintenance regime will be so much simpler and quicker as all it would need is a regular wipe instead of a scrub. Where Can I Use Epoxy Grout? The versatility and durability of epoxy grout mean that you can use it literally anywhere. Be it in your kitchen backsplash or your bathroom floor, epoxy grout can be used on both floors and walls without an issue. Some manufacturers do warn of its use outside as UV light can apparently lead to some color variation but it does vary from product to product. Remember that epoxy grout is used in swimming pools and water fountains which are predominately outdoors so don’t be too quick to discount its use outside. Check what the packaging says or ask your tile setter which epoxy grout is best for exterior applications and you should be good to go. So, if you are looking for a way to greatly decrease the amount of time you spend cleaning your bathroom or tiles, then regrouting with epoxy grout is the way to go! It’ll also look great as the color is uniform throughout and is less grainy than standard grout, making it great for all types of tiles, from ceramic, porcelain and even glass! Recently, I have regrouted all the bathrooms in a retirement home with epoxy grout and the cleaning ladies almost kissed my feet when I returned a month later – That’s how drastic the change was. They said the smell from the bathrooms was gone (remember reason 1?) and cleaning the bathrooms was so much easier now. Take a browse at Epoxy grouts if you are liking what you are hearing, I guarantee it’ll be one of the best things you’ll do to your home. This reason applies for any room in the home or office that contains tired and sad looking tiles. Did you know you can replace your grout with a modern and attractive colored grout that can be coordinated with the color palette in your room? If you purchased a pre-built home, it’s highly likely that the tile and grout choice was made by someone else, in a different decade, with very different tastes than you. It’s highly unlikely that their tastes in home decor match with your’s right? This problem is compounded when you start to add your touches to the home like drapes, furniture, select pieces of artwork and all the other homely touches that define our living space. When my wife and I purchased our home back in the early 2000’s, the house was trapped in the 80’s with terracotta tiles everywhere and more funky patterns then we could stomach. Before we moved in my wife tasked me with tearing a whole lot of it out and starting new. Of course, that took a lot of time and money and not many have the freedom of taking time to renovate the house before moving in. 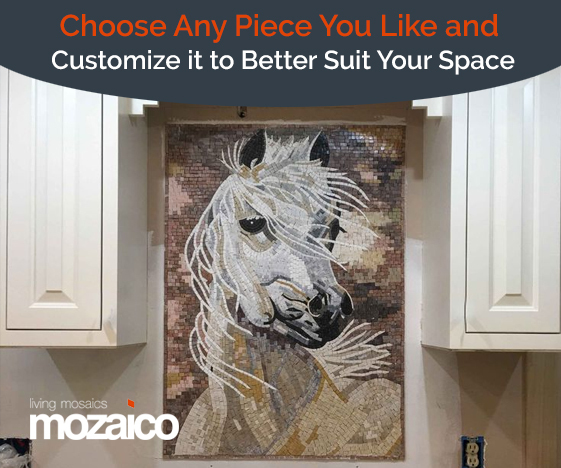 Luckily, just by changing the grout, you can take a big step towards changing the look and feel of a room with very little money and a little bit of know-how. By removing the old grout and applying a new, modern grout, you will experience the benefits of having a next generation and flexible grout that has special features like mold inhibitors that makes cleaning it much easier! I can see that you are already imagining how the room you are sitting in could look with a new change of grout. Before you do anything, you’ll need to decide on which color you would like! Check out this color chart from Mapei, the choice of colors is outstanding and there is bound to be a color that suits your tastes and your home decor. After you have decided on the color, give my grout removal and grouting guide a read. It details every step you need to take to remove tile grout and apply new grout to your tiles. If it seems like too much work, there are plenty of professional tile setters (like me!) who can do the work for you. Segwaying seamlessly from mentioning my grout repair guide above, the next reason to replace your grout is slightly less exciting but still highly valuable. We all know that tiles, just like anything in this lovely world, can get damaged and worn in time and tile grout is no exception. If grout has had a particularly tough life or was applied incorrectly (usually with excessive water), then it will start to crack or fall out altogether. Cracked or stained grout is ugly and it ruins every tile finish, no matter if it’s an old ceramic tile or beautiful marble and so it’s in your best interests to replace it and apply a fresh batch of quality grout. It can even increase the value of your home if you ever think of reselling, nice right! I won’t go into too much detail here as this tile blog post is meant to inspire not educate but I’ll give you a few ideas on what is involved. To repair cracked or stained grout, you first need to remove the grout from the tiled surface. Once you have removed the damaged grout from your tiles, you can select a new grout and apply it to your tiles. Contrary to popular belief, you cannot apply new grout over old grout as it will simply fall out or not stick to the old grout at all. You need a decent thickness for the grout to cure and set properly. That’s the basics of grout replacement. If you are feeling game then check out my grout repair guide as it will take your hand and lead you step-by-step on how to successfully regrout your tiles as a professional would do it. It might seem like a lot of work at first but trust me, once you have repaired your grout and have a seamless and glowing tiled surface, your home and quality of life will be improved ten times over. You’ll wonder why you never did it sooner! The top 4 best reasons to replace tile grout in your home or office. With any luck, these ideas have helped you see the benefits of new grout and inspired you into creating something truly epic. Remember that you don’t need to start big on your first grout removal project. Start with a small backsplash or a section of tiled floor where you can learn the basics of grout replacement and get comfortable with the process. It’s not rocket science and you will pick up the skills in no time by taking on a small starter project, from there – Dream Big!